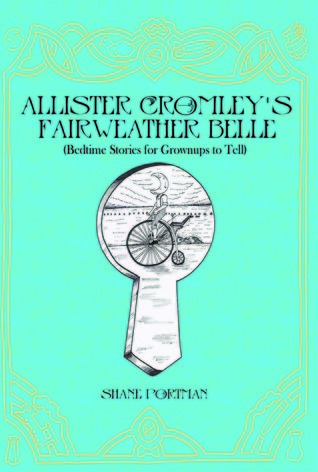 Allister Cromley’s Fairweather Belle (Bedtime Stories For Grownups To Tell) was a unique book to say the least. I thought the idea of bedtime stories for grownups was very interesting, although the stories found inside of the book were not exactly what I was expecting. I liked the bits of historical knowledge and personal insight you find woven into the stories, and the oddity of those stories was amusing. I almost felt as though I was tucked away inside of someone’s head, but that someone was rather insane. While the idea or moral behind most of the stories was easy to grasp, there were a few where I had no idea what I was supposed to come away from the story with, and as such, came away with absolutely nothing. In regards to the wording or writing, instead of the story, the book was remarkably well done. The author obviously possesses a wide ranging vocabulary, and if I don’t presume too much, a vast amount of knowledge on a variety of subjects. This appears to be clear through his very fluid writing, and the interesting facts he easily slipped into the story. All in all, it was a fairly good read, but some of the stories dragged despite being only a few pages long. For this reason, and the fact that some of the stories did not seem to have a definite reason behind them (which bedtime stories always do), I give this book three stars. Would I read it again? Probably not. Would I recommend it to anyone? Yes, I actually already have a few people in mind who would probably enjoy this book much more than I did.